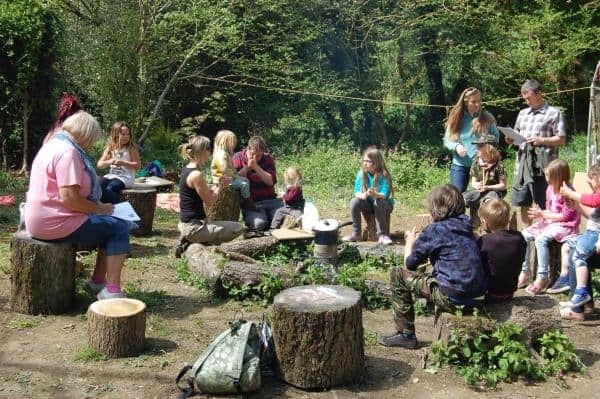 A “massive” £8,608 has been raised through the open garden’s scheme run by Cornwall Wildlife Trust, making it the “best year ever” for the scheme. The money, nearly double last year’s total, will be used by the trust to protect Cornwall’s wildlife and wild places. This year the garden events attracted over 1,500 visitors from all over the county and beyond, with gardens in Truro, Falmouth, Wadebridge, Hayle, Lanreath, Delabole, Bude, Crantock, and St Austell opening their gates to guests. The trust says that one of the highlights was the opening of Pedn Billy Garden at Helford Passage, the first garden to open, which saw the highest attendance and individual amount raised of over £1,500, adding that it “set the standard for things to come”. Chris Betty from Cornwall Wildlife Trust said: “We could not have raised this incredible amount of money without our amazing volunteer coordinators Belinda Brain, Jo Swingewood, Rebecca David, and their husbands, or without the support of the garden owners, some of whom have been opening their gardens for us since the scheme began four years ago. “This year has seen the largest numbers of visitors to the gardens. We are extremely grateful to all the gardens that have opened for us during the year and the visitors have thoroughly enjoyed the diversity of what they have seen. Rebecca David, Open Gardens volunteer coordinator, said: “I have thoroughly enjoyed being part of a great team organising the Open Gardens scheme and I am delighted that we have been able to raise a significant amount of money to help Cornwall Wildlife Trust to deliver their important work protecting Cornwall’s wildlife and wild places. Bookings are now being made for Open Gardens 2015, with some of the established favourites, including Trenarth at High Cross, and Ten Acre Wood at Wadebridge already on the list. Old Zanzig, also near Wadebridge which is owned by Alison Salisbury who writes the Trust’s excellent online wildlife gardening blog will make a return and the record breaking Pedn Billy will once again start the scheme with its breathtaking views of the Helford Passage. There is also a new addition of a “stunning” four acre garden owned by a long term trust member which has never before been opened to the public.